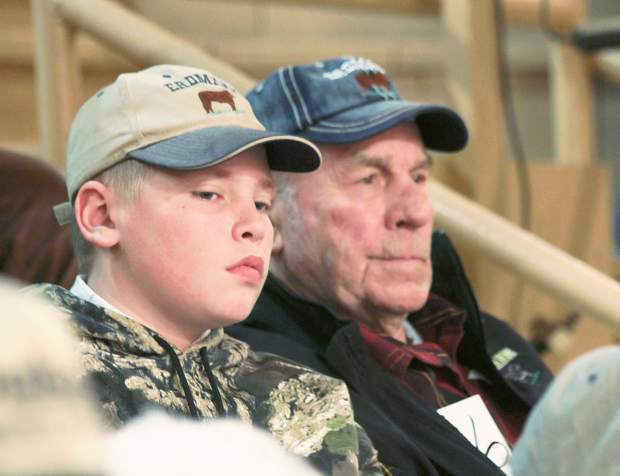 Erdmann Ranch, Leola, S.D., also picked up bulls and heifers at the Campbell Red Angus sale. 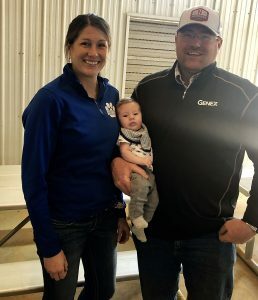 The Campbell family held the annual Campbell Red Angus production sale at Mobridge Livestock, Mobridge, S.D., on Mar. 7, 2016. 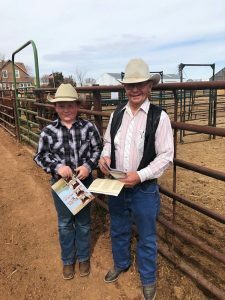 This was an outstanding set of bulls and open heifers that the Campbell family brought to town. 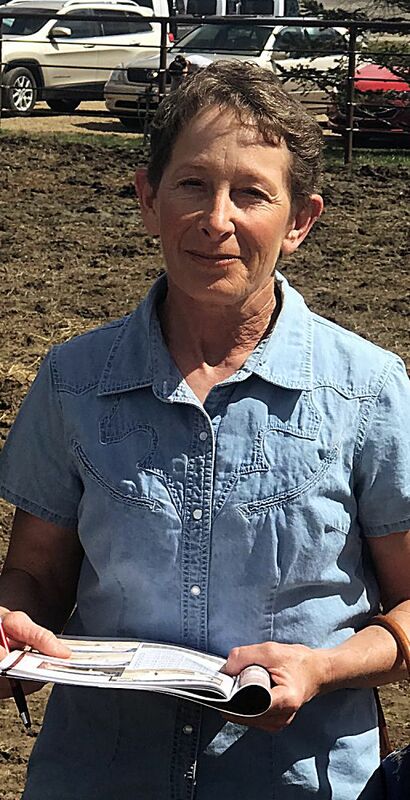 This operation has not chased the fads of the “bull of the day”, but has stayed true to breeding functional Red Angus cattle that will excel in all aspects of the beef industry. With the addition of new bloodlines to the base cowherd that was started in 1973, this set of bulls really showed a lot of muscle expression and thickness. 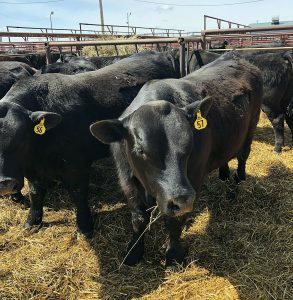 For most, this set of bulls would be outcross genetics from the mainstream Red Angus cattle. The high selling bull on the day was lot 1, CBR Epic 312-52, a Mar. 2015 calving ease son of Sanderson Epic Journey with a 700 lb. weaning wt. and yearling wt. of 1308. The bull has EPDs of BW 0.2 WW 73 YW 117 Milk 16. Terry Johnson, Firesteel, SD was the buyer at $7,000. Johnson also picked lot 98, CBR Wildman 053-R51 for $6750. This Feb. 2015 son of Red Wildman Curve 207Z has EPDs of BW -1.9 WW 59 YW 87 Milk 19. Selling at $6250 was lot 5, CBR Bases Covered 190-5305, an Apr. 2015 son of VGW Load Em 333 with EPDs of BW 3.3 WW 90 YW 140 Milk 9. This performance bull weaned off at 767 lb. and had a yearling wt. of 1358 lb. 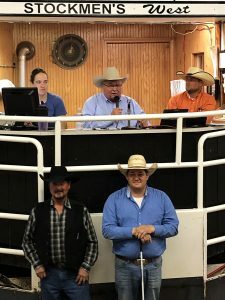 Repeat buyer, Morell Livestock, Union Center, SD was the buyer. Also selling at $6250 was lot 17, CBR Mr Quad 0538-576 is a Mar. 2015 son of CBR Triple Duty 0566-7542. This bull had a yearling wt. of 1293 lb. and EPDs of BW 1.9 WW 64 YW 89 Milk 11. Kent Fjeldheim, Herried, SD was the buyer. Lot 57, CBR Loaded 0324-5209, a Mar. 2015 son of VGW Based Loaded 330 sold to Barb Campbell, McIntosh, SD for $6000. The top selling heifer calf on the day was lot 118, CBR Miss Moonie J01-J57, a Mar. 2015 daughter of Red Crowfoot Moonshine 2116Z that has EPDs of BW -1.9 WW 42 YW 56 Milk 20. Jerry Ellens, Philip, SD was the buyer at $2300.